I'm always on the lookout for feature films that include artists and the art world in some way, like Age of Consent and Boogie Woogie. Catchfire (1990) is one of these. You can see it on Netflix under the title Backtrack. On the face of it, it sounds potentially great. Directed by Dennis Hopper, it stars him, Jodie Foster, Joe Pesci, Vincent Price, John Turturro, Dean Stockwell, Fred Ward and Tony Siroco (who played Paulie on The Sopranos). 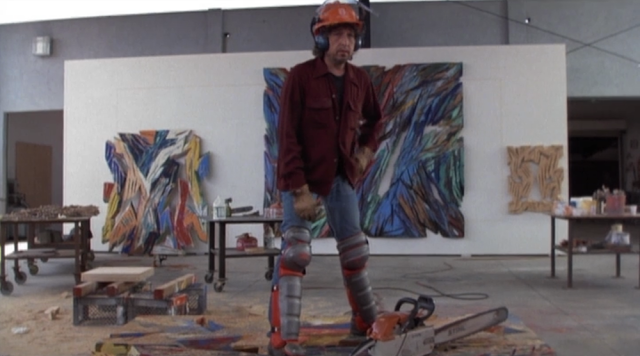 It also features appearances by Charlie Sheen, Catherine Keener and Bob Dylan. Interesting, right? Wrong. Catchfire is terrible--so bad that Hopper took his name off as director--it's officially an "Alan Smithee" movie. The basic plot is that Foster (as artist Annie Benton) witnesses a mob-related murder. The mob knows who she is so she turns to the police (Fred Ward in particular) for help. But she sees Dean Stockwell, the mob lawyer who was present at the murder, in the station and flees. So now the police and the mob are after her. The mob sends a hitman named Milo (Hopper's character) to find her. She eludes them all for a while, but eventually Hopper, who has become obsessed with her, finds her. But instead of killing her, he abducts her. In a Patty Hearst-like moment of Stockholm syndrome, Foster falls for Milo. They continue to be chased until a final confrontation with the mob. The problem with this movie is that there is no suspense, no excitement. The characters are illogical and their motives obscure. There are occasional surreal moments that all fall flat. 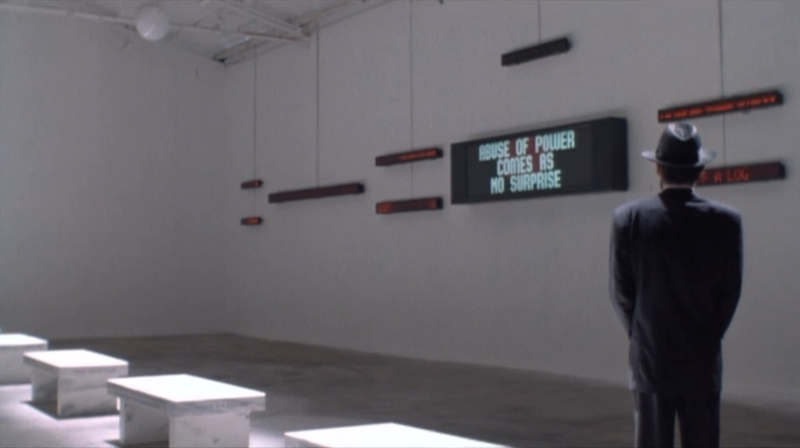 Foster is essentially playing Jenny Holzer (whose art was used in the movie, presumably to Holzer's regret), but she hardly seems like an intellectual artist type. She really doesn't have a personality at all. So unless you are obsessed with seeing art in movies (like me), give this one a pass. Dean Stockwell with a piece that Hopper bought. 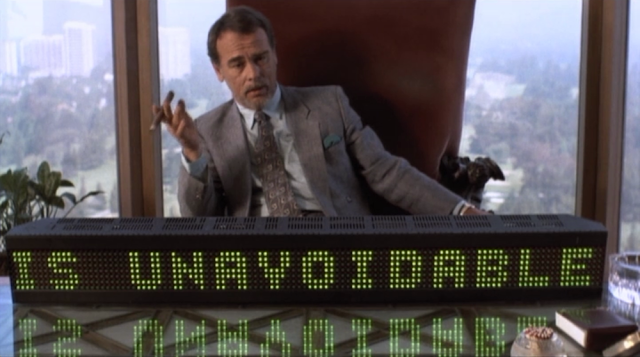 It reads "Killing is Unavoidable." Subtle, right? 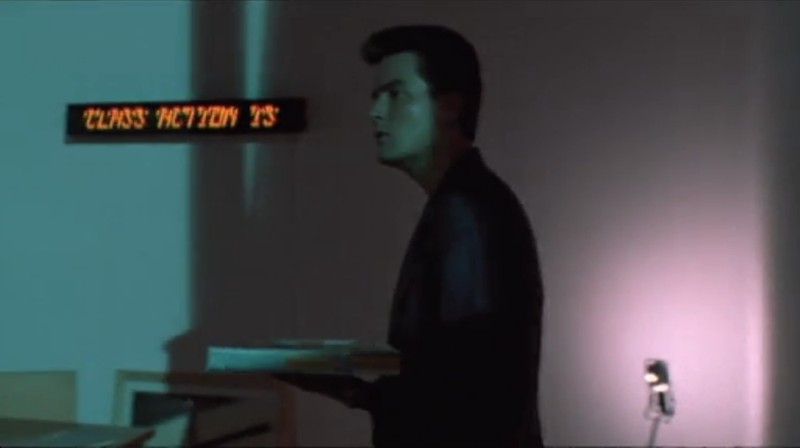 Charlie Sheen as Foster's boyfriend in their apartment. His function in the movie is to be murdered. A strange cameo by Bob Dylan as a chainsaw-wielding relief sculptor. I couldn't recognize his pieces--anyone out there know who did them? Update: They're by Charles Arnoldi. You can seem more of them here. Tip of the hat to eagle-eye Earl Staley for recognizing them. 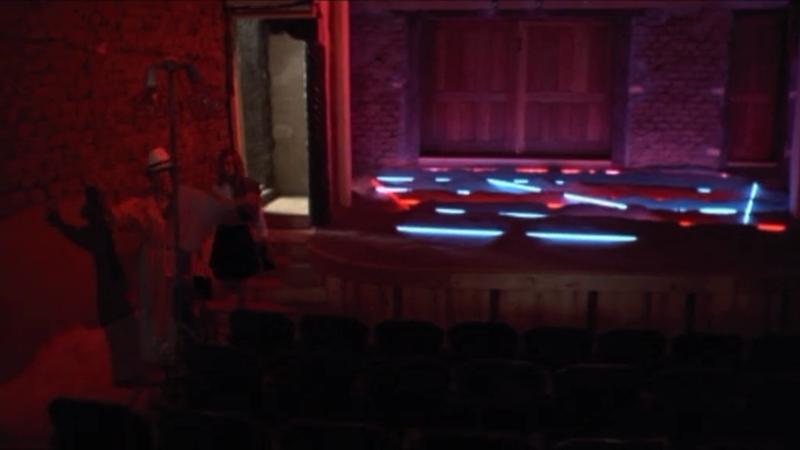 Foster hides out for a while in an old movie theater in New Mexico, where this Laddie John Dill neon installation is.